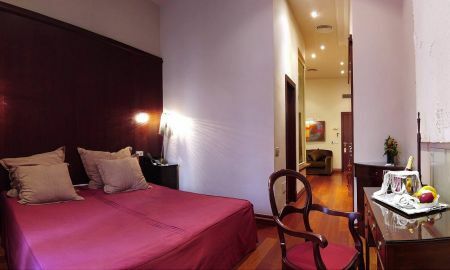 The Palacio Ca Sa Galesa is a 5 stars hotel located at the heart of Palma de Mallorca, in a palace which dates from 1576 and combines perfectly the island architecture with the French, Italian and English styles. It has 12 rooms which 7 Suites and 5 double rooms, all different, that each of them is recognized by the name of a famous musician. 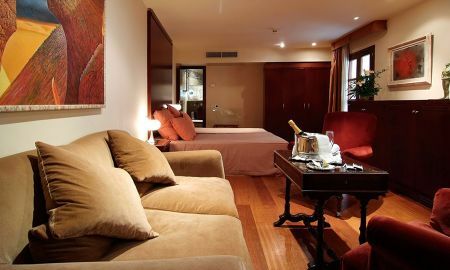 The precious interiors of the Palacio Ca Sa Galsea offers its guests a variety of services to fully enjoy their stay, including comfortable lounges, meeting rooms, free internet access, a lounge for breakfast, an interior courtyard equipped with outdoor furniture and fountain, also a bar and a restaurant are available. 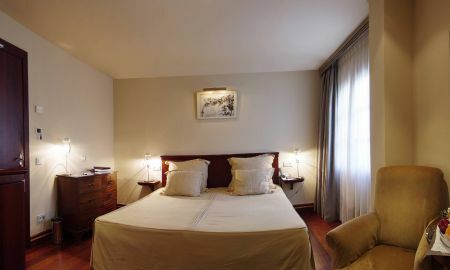 Other great qualities of the hotel include a complete area of well-being with gym, solarium, sauna, a spectacular hydro-massage roman bath and a heated pool. The Palacio Ca Sa Galesa is located in the historical district of Palma de Mallorca, with precious views of the Cathedral and of the sea.